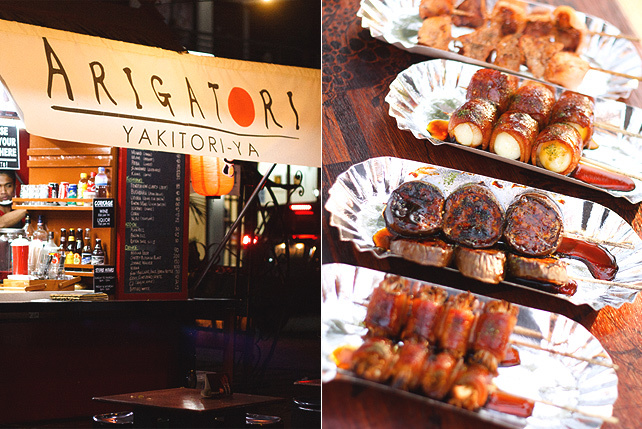 (SPOT.ph) You can’t miss Arigatori Yakitori-ya. Anyone unfamiliar with the area can easily get there via Waze, which will direct you to a row of buildings then a parking lot where a bright red stand and low tables are set up right smack in the middle. 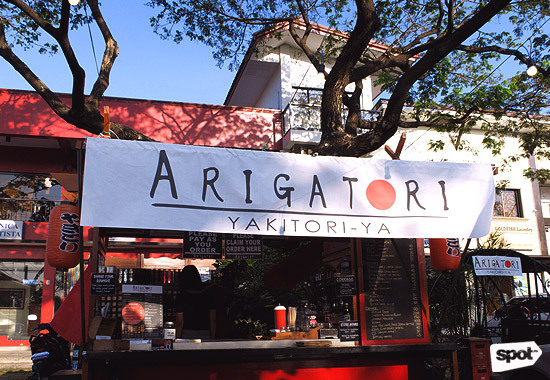 Arigatori Yakitori-ya is the brainchild of sisters Abie and Arra del Mundo. Set deep within Parañaque, Multinational Village isn't exactly the most accessible location for dining concepts. This quality, which may put off some culinary creatives, inspired the pair. 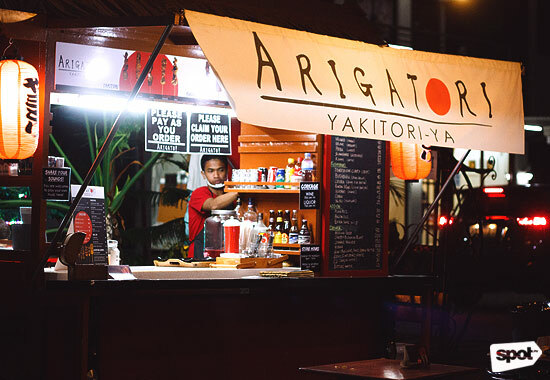 In three months Arigatori Yakitori-ya has become everyone's quick neighborhood favorite—from foreign nationals living in the village to families who take out meals at night to joggers who grab a quick bite after a calorie-buster to barkadas who come for some good pulutan and drink sesh. The best time to go is at night. It's a fun spot. There’s a little cast-iron swing on the side for guests who might want a little reminder of childhood while muching on some yakitori. The smoky smell of grilling food fills the air, and there's even a stray dog christened Hachiko by the community who will run around your ankles. While the concept of their Arigatori-ya is authentic yakitori served on the street, the sisters' personalities manage to sneak up through the details. Arra is a designer so she made sure that the tables are covered in sketches by Sharpie artists. Abie, meanwhile, takes charge of the food. The menu was developed with the help of their Japanese friends. Before digging into the yakitori, you can choose to start with either their Miso Soup (P25) or a Sunakku Boto or snack boat (P120), which carries wasabi chips, nori chips, and peanut crackers. Kushiyaki bestsellers here include the Enoki Maki (P60/stick) and Uzura (P60/stick). 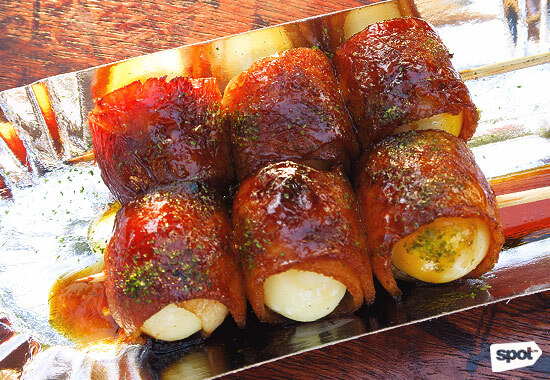 Both are wrapped in bacon and slathered in tare sauce, then grilled and topped with nori powder. The bacon they use isn’t the kind that crisps up when you put on the heat. It's closer in texture and flavor to another breakfast meat, tocino. The tare sauce, which is a dark Japanese condiment, is also different from what you're probably accustomed to. 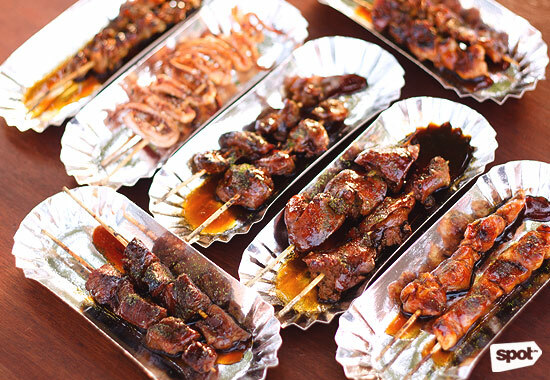 It's friendlier to the Filipino palate, slightly sweet and is adjusted depending on the skewer it complements. The Tenderloin Cubes (P85/stick) has a sauce that’s more soy-based. 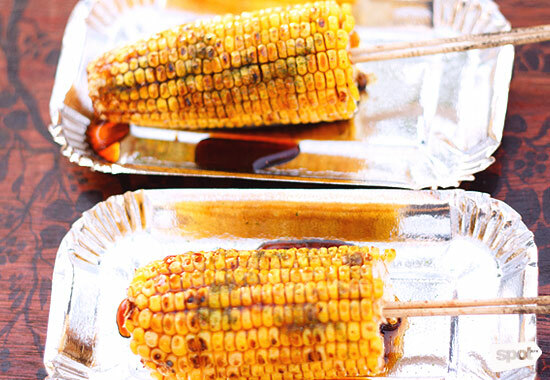 The Grilled Corn (P45/half cob) has a lighter sauce. 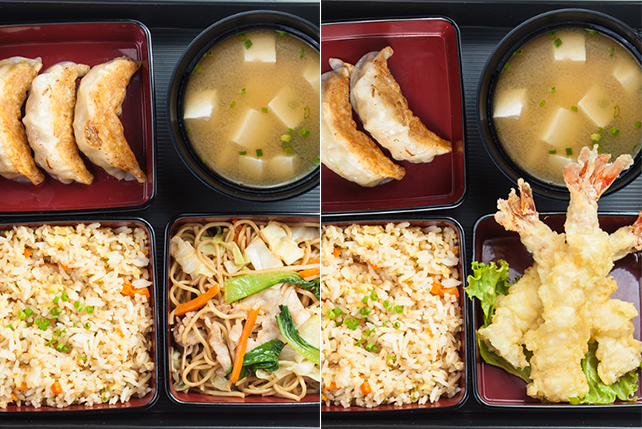 For vegetarians, the Nasu (P25/stick) or eggplant is a great alternative. Pro tip: Ask the servers to grill your kushiyaki for a shorter time to get a better measure of the ingredients' flavors. 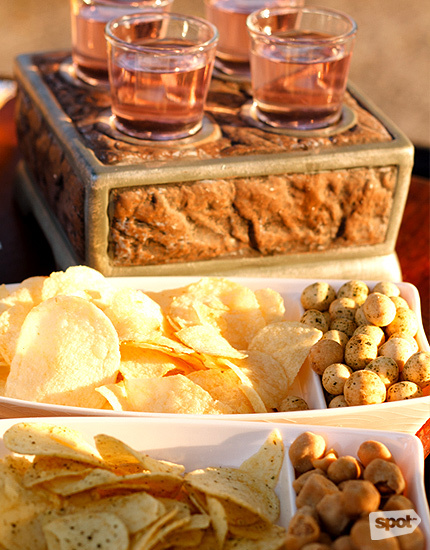 Immediate favorites are the shio or salt-based sticks. 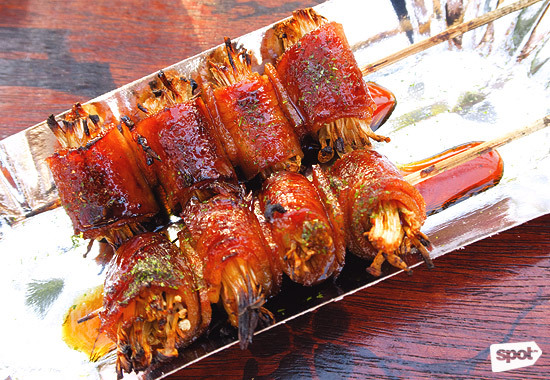 The Ikayaki (P45/stick) is squid grilled in salt and pepper, and you can choose between the tentacles or the body. 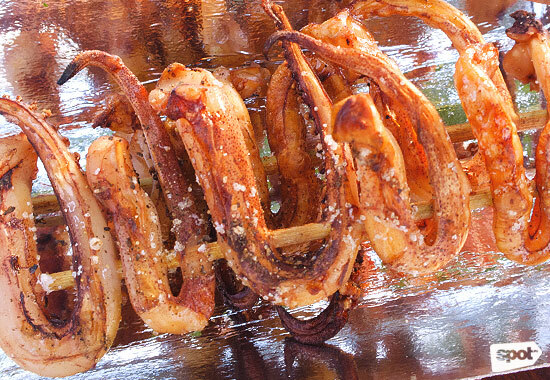 They're grilled nicely to the point of being crispy—they remind us of the ones you can find along the shores of Boracay. 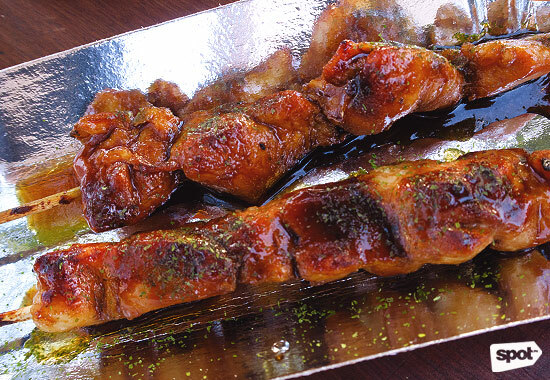 The Butabara (P40/stick), which is a choice slice of pork belly, deliciously reminds us of liempo, which is a wonderful, wonderful thing. Their main yakitori selection is made up entirely of chicken (tori translates to "chicken" after all). Customers usually order the Momo (P40/stick) or chicken thigh and Mune (P40/stick) or chicken breast. 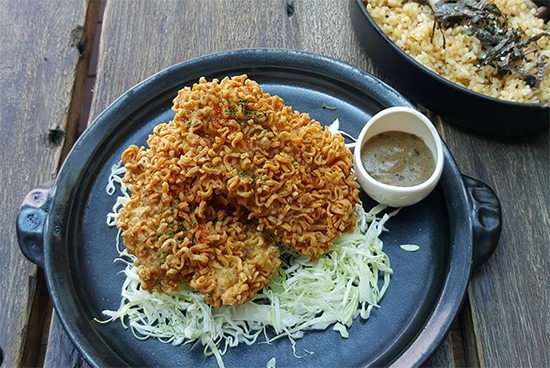 Both are tender and covered with a generous spoonful of their Arigatori sauce and nori powder. Other more adventurous foodies can go for the Sunagimo, Reba, and Kawa (chicken gizzard, liver, and skin respectively) for P35 each. 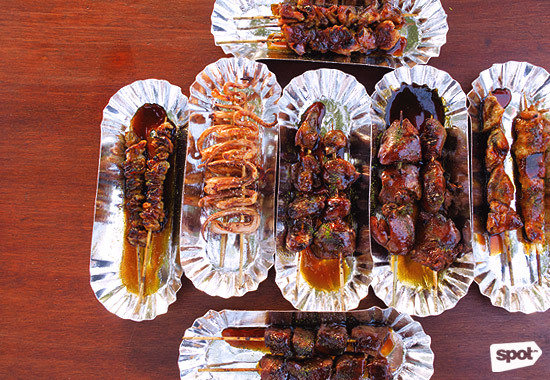 The Sunagimo or gizzard is a favorite for pulutan. The Kawa, meanwhile, flaunts some smoky charred edges. If you're one to enjoy your skewers with rice, try it with the Plain (P30). 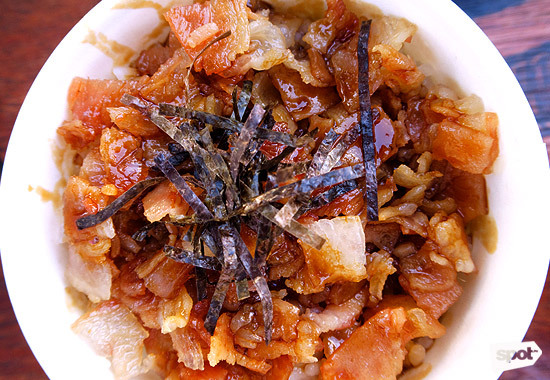 The tare-heavy Bacon Rice (P65) bears enough flavor that you can probably enjoy it on your own. 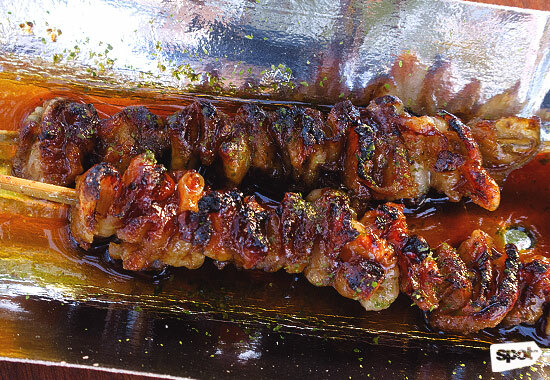 The drinks are Arigatori Yakitori-ya's definite must-tries. 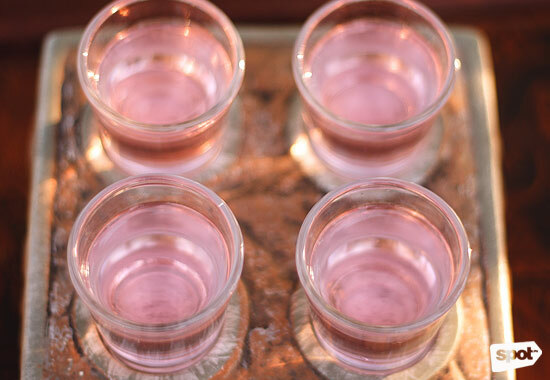 For those who like hard liquor, we recommend you have the Cherry Blossom Blast (P200/four shots). It's a combination of soju, vodka, gin, and a cherry blossom flavor. It's sweet, warm, and washes down quickly without a chaser—you won't see it coming. 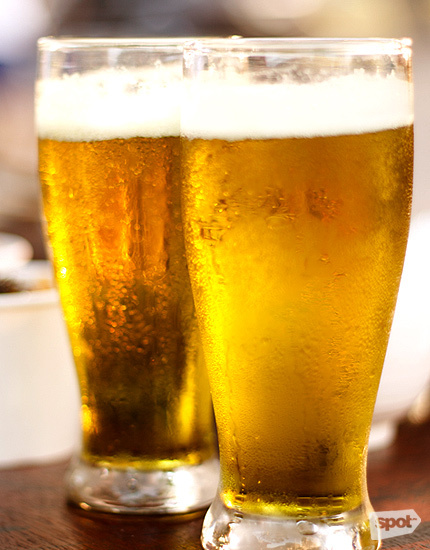 The Matcha Beer (P90) is bright green, adding an earthy, herby note to your beer. 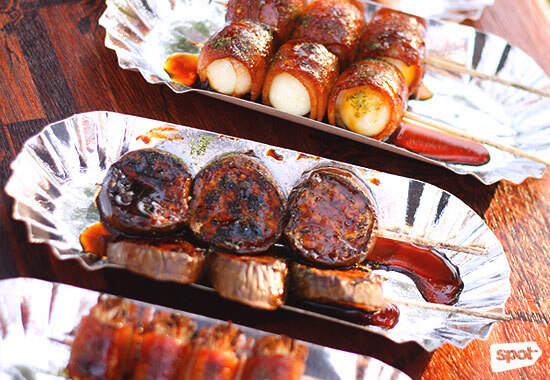 Arigatori Yakitori-ya also allows their customers to bring their own booze. Kushiyaki places are sprouting up all over town, and it's nice to know that even the more, shall we say, far-flung areas of the Metro, aren't exempt from enjoying this kind of fun, convenient dining experience.